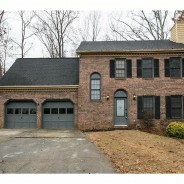 Move-in Ready, Upgraded, 3 bedroom, 2.5 bath home in private cul-de-sac. Formal living room, dining room, and breakfast area. Private backyard. Close to everything. Professionally managed. No Pets. No Smokers. No Exceptions. Easy Application Process. Great neighborhood within walking distance of shops, restaurants, entertainment in HOT, HOT, HOT downtown. Vaulted Entry. Formal: Great Room, Dining & Living. Hardwoods on Main except Family Room which is carpeted. 3 Bedroom, 2.5 bath home. Large Master Suite with Large Master Bath that features double vanity, jetted tub and separate shower. Two other bedrooms access jack & jill bath. Upper level laundry room. Deck, 2 car garage and good-size yard. Great school district. Walk to elementary school. Walk to new outlet mall. Close to I-575 and Towne Lake. Swim & Tennis Community. 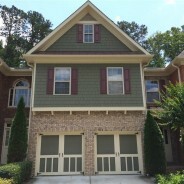 Move-in Ready 4 bedroom, 3.5 bath Townhome in sought after Merrimont Gated Community. Hardwoods throughout main floor. Fully finished basement features 1 bedroom, 1 full bath & Bonus/Media Room (possible 5th bedroom). Good-sized bedrooms, all with over-sized closets. Professionally managed. Easy Application Process. Owner pays monthy HOA dues. Virtually maintenance free. 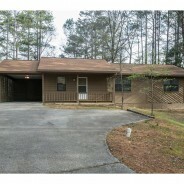 3 bedroom, 1 full bath, 1 half bath ranch on a large, private and wooded lot. One story living at its best. New carpet and paint. Move-in ready. No Pets. No Smokers. No exceptions. Professionally managed. Quick and easy application process. Great neighborhood in walking distance of all shops, restaurants, entertainment in HOT, HOT, HOT downtown. Valuted Entry. Formal: Great Room, Dining and Living Rooms. Hardwoods on Main except Family Room which is carpeted. Large Master suite with large Master Bath features double vanity, jetted tub and separate shower. Two other bedrooms access Jack and Jill Bath. Upper level Laundry Room. Deck, 2-Car Garage and good-sized yard. Great school district. Walk to Elementary School. Walk to new Outlet Mall. Close to I-575 and Towne Lake. Swim and Tennis community. Pet Friendly. Large open and flowing floorplan, renovated kitchen. Newer HVAC and water heater. Cul-de-sac with private, wooded, extra large backyard. 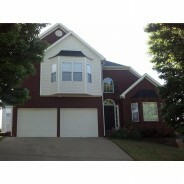 4 bedrooms upstairs and full finished basement adds the 5th bedroom and 3rd full bath. Professionally managed. 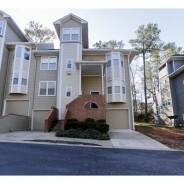 Move-in Ready, end unit, 2 bedroom / 2 bath townhome convenient to schools, Marta and shopping. Split bedroom plan perfect for roommate situation. New Interior and Exterior Paint, Carpet, Gas Stove. Newer Refrigerator. 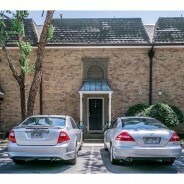 Move-in Ready, End Unit, Townhome convenient to everything. Drive under garage with storage in basement. Washer and Dryer remain. Professionally managed. Possible 5th bedroom on Main Floor. Location. Location. Location. 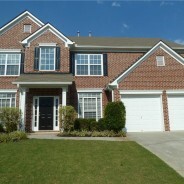 Walking distance to shopping, entertainment, Kennesaw Mountain Park & trails. Swim/Tennis commuNity. Move-in ready. Owner pays HVAC service & all HOA dues. What a deal! Will not last! Sorry no pets or smoking. NO EXCEPTIONS. No pets, no smokers allowed. 4th bedroom could be a bonus or media room. Totally upgraded and move in ready. This home has all the features including all landscaping and HVAC maintenance. Hardwood throughout main floor. Large bedrooms. Extra large screened in porch perfect for those cool summer evenings or entertaining guests. Fully fenced private, wooded yard. 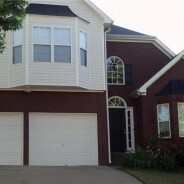 11 month lease only as movers are moving back into the home.